The Wave moves into the RPI Top 90. Previewing the week ahead. Here's your weekly report on Tulane Basketball (11-4 | 2-1 AAC), where we'll track what's at stake for the Green Wave. The Green Wave is coming off a big week after taking down one of the conference's best at Devlin on Thursday night. 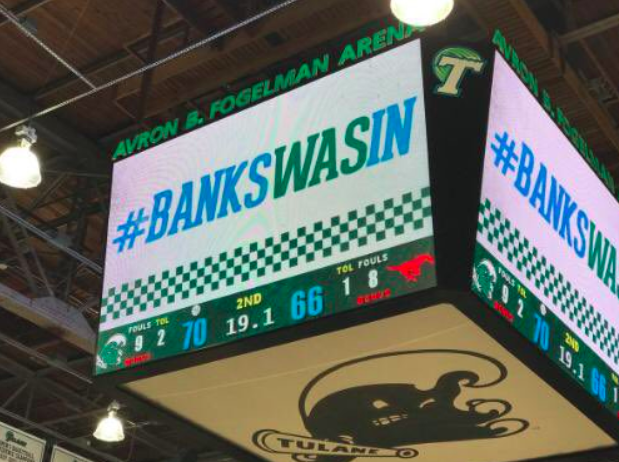 You can see our full recap here, but the short story: Tulane overcame a sluggish first half and turned around a 12-point deficit into a 73-70 victory over the Mustangs. This victory for an 8.5-point underdog pushed Tulane into the RPI Top 90 and set up a chance for a really strong conference start (more on that). In my mind, this is the biggest win for the program since the post-Clark era began, and we're just barely into January. Good times ahead. First up, Tulane will head on the road to face the Memphis Tigers on Tuesday night. It's clear that these are not the Tigers of old, as they sit at #174 in the Ken Pomeroy rankings. They have been better at home -- their only loss at the FedEx Forum was a 71-61 defeat at the hands of LSU. Their shooting has been poor, as Memphis ranks #252 in field goal percentage and #338 in 3-point shooting (a good sign, since Tulane has been the 35th best team in the country at defending the three). Memphis did sneak out a surprising win over Tulsa at home last week, so they have some momentum coming in after three straight double digit losses before beating the Golden Hurricane. Then on Saturday, Tulane comes back to Devlin for a showdown with the UConn Huskies. UConn just managed to get above .500 after struggling to get past one of the country's worst teams in East Carolina at home. They did finish off that win, but this 1-2 start in AAC play has not been encouraging to Huskies fans. Still, UConn's name carries weight with folks, and the Wave will most likely be favored. Remember, the students will be back. That's a great sign after a solid crowd against SMU without them. Finally, I like this matchup a lot. Huskies are a poor shooting team (#326 in FG %) and not particularly impressive on the boards (#141 in rebounds). That's typically the best recipe for Wave success this year. The win over SMU moves Tulane up to its season high in the Ken Pomeroy rankings at #125 in the country. More importantly, the team has been trending up in recent weeks. On to two big matchups on national TV.